Carney's House Party: In the summer of 1911, Caroline "Carney" Sibley is home from college and looking forward to hosting a monthlong house party - catching up with the old Crowd, including her friend Betsy Ray, and introducing them to her Vassar classmate Isobel Porteous. Romance is in the air with the return of Carney's high school sweetheart, Larry Humphreys, for whom she's pined all these years. Will she like him as well as she once did? Or will the exasperating Sam Hutchinson turn her head? Last summer, I binge re-read The Betsy-Tacy series after I discovered they had been reissued with adorable vintage-style covers. Around the same time, I bought the bind-up of Carney's House Party and Winona's Pony Cart. These books are basically companion novels - both are set in Deep Valley and involve secondary characters from the Betsy-Tacy books. I didn't read these when I was younger, so I was excited to read each for the first time! In Carney's House Party, Caroline "Carney" Sibley comes home from college and hosts a month-long house party so she can see what the Crowd has been up to since they graduated high school. But it's 1911, so this is not the kind of house party that probably first came to mind. She brings a college friend home with her, and she suddenly starts thinking about what it will mean to blend her new friend with her old ones. But it's not just fun and games this summer! Romance is stirring, too, and Carney must look at her feelings for her old high school sweetheart and the new boy that's recently come to town. Has either one truly captured her heart? I really enjoyed Carney's story. The later Betsy-Tacy books are my favorite, and this is written in a very similar vein. Despite the fact that the story is set more than 100 years ago, I still related to so many of the emotions and anxieties Carney experienced. One of my favorite things about Lovelace is how the time period is integral to her stories and yet they still feel so timeless. This is almost like the original New Adult! Seeing Carney come home from college made me reminisce on my first summer back at home after going away to school. Becoming so independent at college and then coming home to your family and the people who've known you for years can be such an adjustment. There was also something so enjoyable about the way Lovelace portrayed the idea of whether you can outgrow your first love. Carney and Larry were sweethearts in the Betsy-Tacy books until he moved away during their sophomore year. They've maintained a close friendship over the years by exchanging letters... but the "what if" always hangs in the balance. What if they weren't so far apart? And how do you say goodbye if that person you loved isn't right for you anymore? Seriously, I loved the way Lovelace illustrated this in Carney's story. She's is a feisty and fun heroine in her own right, and it was fun to see the focus on her instead of Betsy Ray. This story was so sweet, and I really enjoyed reading it! I still love the Betsy-Tacy series the most, but this was an excellent addition to the Deep Valley books. I'm glad Lovelace fleshed out Carney even more in this book, and the notes at the back (about how much of this story was inspired by Lovelace's real-life friends) was one of my favorite parts of the book. 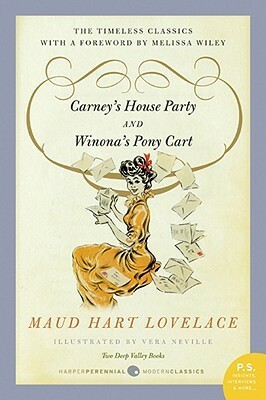 So, Winona's Pony Cart follows Carney's House Party in this edition, even though it actually takes place when the girls are young. Winona Root is also a part of Betsy's Crowd in that series, and this book takes place when the girls are seven and eight. The earlier Betsy-Tacy books are my least favorite (mostly because they're more childish stories), but they're still really charming. I'm not really sure why this edition chose to put Winona's Pony Cart second. I think it would have made so much more sense to have it precede Carney's House Party. It was a little off-putting to go from the older, more mature book to this little story that's pretty simple at its heart. The book focuses on Winona's upcoming eighth birthday party because all she wants is a pony. In fact, she's confident that her dreams will come true that she begins telling her friends that's what she'll get at her party. While this book was fun, it lacked the charm of the earlier Betsy-Tacy books. 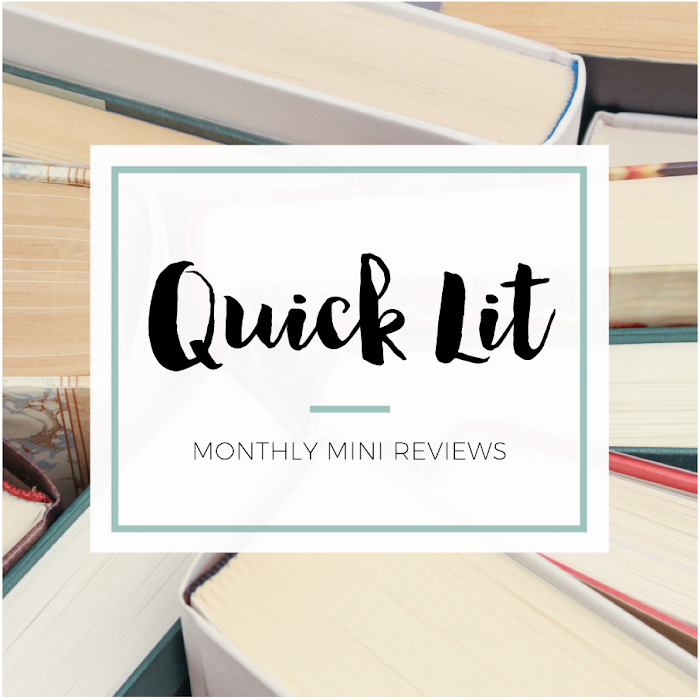 It was a sweet, quick read, but it didn't really leave a lasting impression on me. It's a fun addition to the younger Betsy-Tacy books, and I could truly see myself appreciating it more if I was reading it aloud to a daughter. As it was, however, this one is probably my least favorite of everything I've read by Lovelace. But hey, this bind-up is totally worth it for Carney's House Party alone, so just think of Winona's Pony Cart as a little bonus story! I hadn't heard of this series (or the companion novels) before you wrote about re-reading them -- I wonder how I might like them as an adult? Either way, the vintage-style covers are so great! 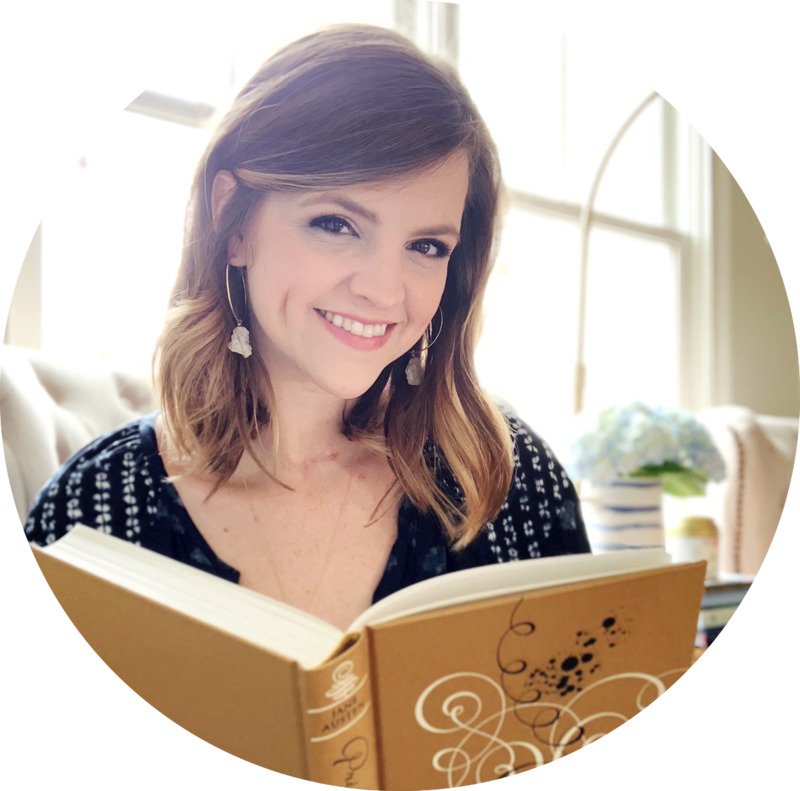 Posts about books in the Betsy-Tacy world definitely bring me back to my childhood! I read them when I was younger, but haven't reread them since. I'd like to, though, as I remember them being delightful. I've never heard of this bind-up, but I do like the sound of it (and just really love that cover). I love that you love them. I haven't read these two but want to. I keep scouring eBay to find sets of the Betsy-Tacy books to give to every young girl I know. I feel the same way about these two! I did enjoy Winona's Pony Cart, but whenever I reread the series, this one tends to get missed. And I really love Carney, but even more Emily! While it doesn't top Betsy and Joe as my favorite, Emily of Deep Valley just might be my second favorite of them all!